Are you looking for any beneficial snacks to take before workout? If so, the peanut butter protein balls will be your best choice! This amazing snack provides you with essential proteins and minerals significant to your body with a quite low calorie level. What's more, it can be easily done with a few steps by yourself! You can also add anything you like to make it more suitable for your favor. Forget the peanut butter balls showing in the shop, as they may be expensive or contain materials allergic to you! Why not make it right now? Put all the ingredients mentioned above in a food processor. Launch the processor for 15 – 30 seconds to make sure all the materials are mixed completely. You can also mix these ingredients in a large bowl by yourself. 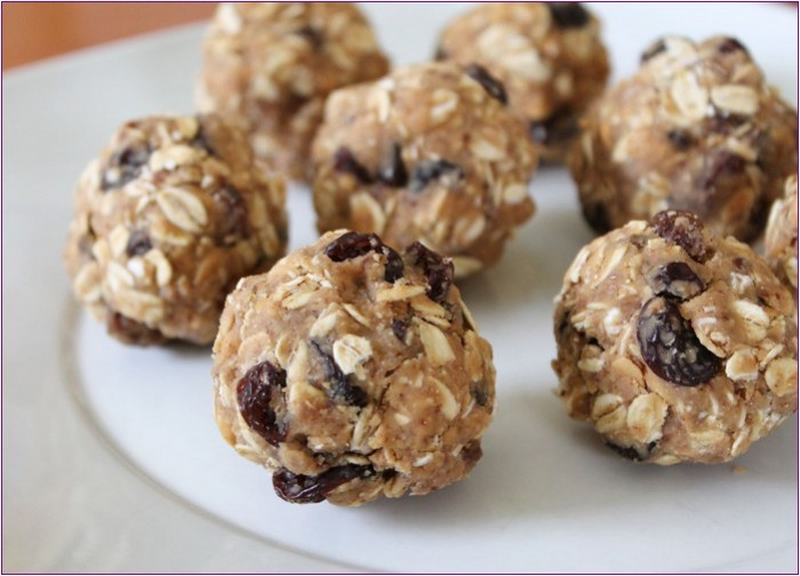 Use 1 ½ tablespoon mixture to make a ball by hands. When you finish forming the balls, put them on baking sheet and refrigerate them for at least 30 minutes to make the balls harder and more convenient to take along. See the picture below to know the nutrition of peanut butter protein balls.